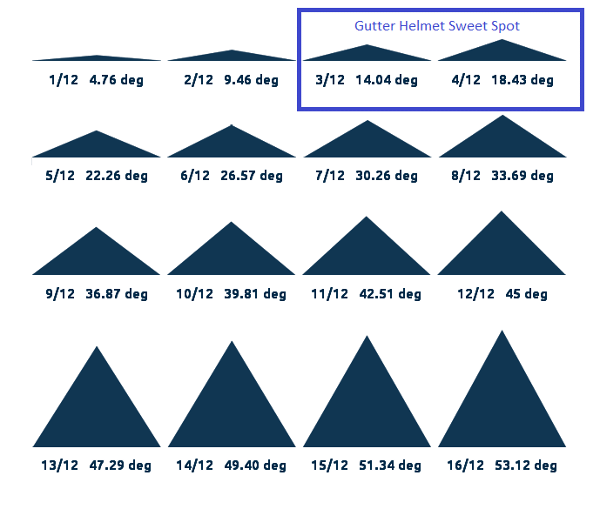 Looking at Gutter Helmet vs. LeafGuard, it's clear they have a LOT of similarities. In fact, LeafGuard and Gutter Helmet are more similar than they are different. They even make similar claims about durability, material, paint, warranty, rainwater capacity, curb appeal, and amusingly – uniqueness. Whether or not you think LeafGuard “attractively enhances” the look of your home or Gutter Helmet is “essentially” invisible is a matter of your own opinion. Now that we've covered many of the ways Gutter Helmet and LeafGuard are the same, we can better understand how Gutter Helmet and LeafGuard are different. The biggest difference is that LeafGuard replaces your existing gutters, regardless of their condition, and installs its own “seamless one-piece” gutter. Meanwhile, Gutter Helmet is a hood-like cover that installs over your existing gutters, usually under the second row of shingles. 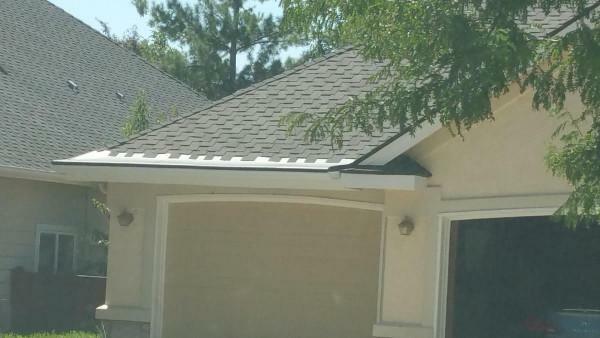 In effect, Gutter Helmet is just the top hood of LeafGuard, slid between the roof shingles. Well, it turns out that Gutter Helmet's installation has some drawbacks compared to LeafGuard's installation. 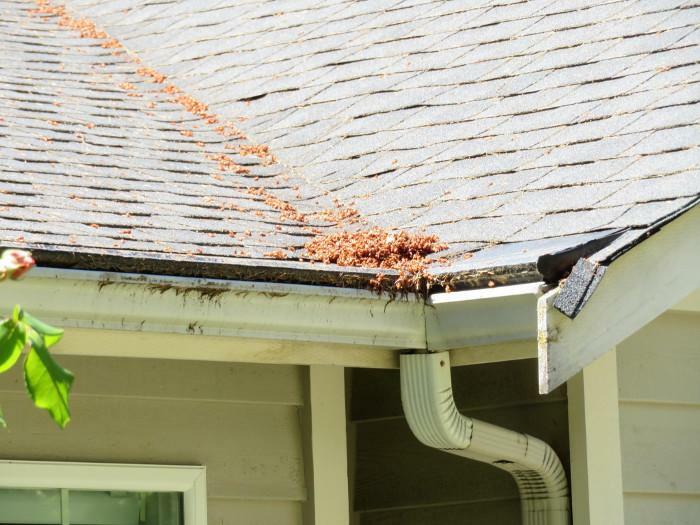 Because LeafGuard and Gutter Helmet are so similar, they share many of the same drawbacks. However, some drawbacks are unique to Gutter Helmet. Another unique drawback to Gutter Helmet compared to LeafGuard is that Gutter Helmet has a really, really hard time installing on any home with an “unusual” roof. If you have a slate roof, a tile roof, a metal roof, a flat torch-down roof, a wood shingle/wood shake roof, or a roof with a pitch steeper than 4/12, Gutter Helmet may not even work at all. 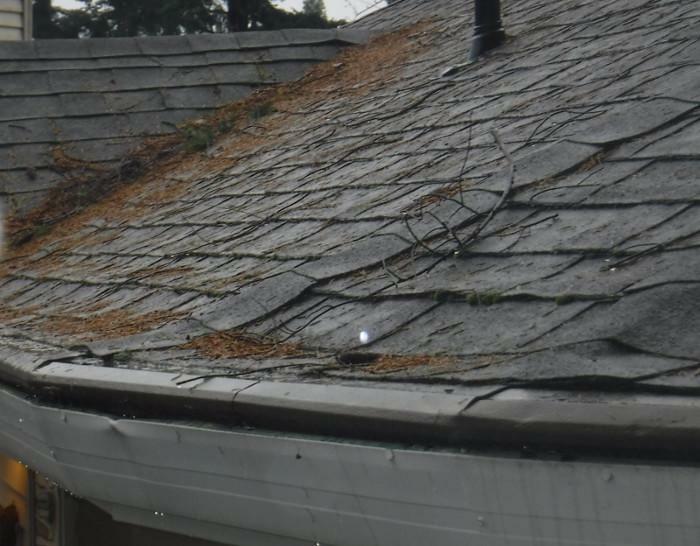 For example, for slate, tile, and wood shake roofs, if Gutter Helmet can be installed at all, their installers will need to pry apart the first row of your roof at the edge with a crowbar! Those roof materials don't bend and allow Gutter Helmet to slide up under them otherwise. Gutter Helmet can be installed on some metal roofs. However, it runs into one of the same problems as LeafGuard does with metal roofs. And it's the same reason neither Gutter Helmet nor LeafGuard work well on very steep roofs: water speed. With reverse-curve systems, water speed is the most important variable. If the water is shooting down quickly, it will simply ski-jump off the roof down to the ground. Get a Free Estimate for a gutter guard that works! Still trying to decide between Gutter Helmet and LeafGuard? We've got a better idea? Consider MasterShield. MasterShield is the most effective gutter guard system available in the market today and we can install it on your home. Contact us today and schedule your free estimate in Portland, Vancouver, Gresham, and nearby!